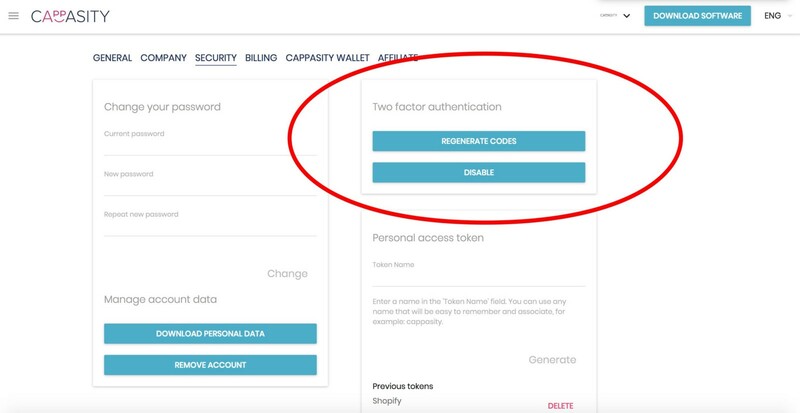 Today we have released an update that will allow you to set up 2FA in the security section of your account. We recommend this feature to anyone who uses tokens and CAPP Wallet on our platform. This is a scheduled infrastructure update to be introduced before the launch of the internal exchange service. Attention! We have not yet updated our applications and, thus, do not recommend using 2FA if you are shooting content. Easy 3D Scan will be updated in the following 1–2 weeks. Please do not hesitate to email support@cappasity.com if you experience any difficulty using 2FA.